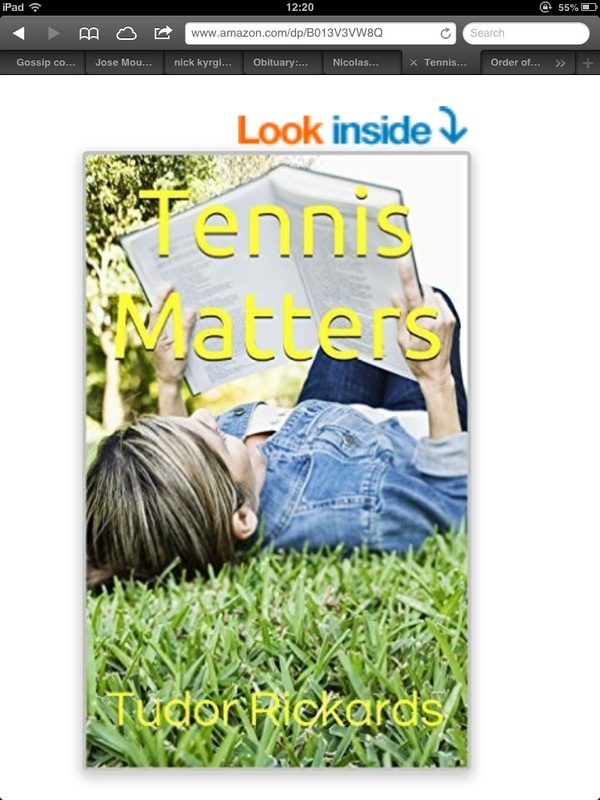 Tennis Matters was published in E book format in August 2015. It is part biography, part based on tennis stories updated from over a thousand published in Leaders We Deserve over the period 2007-2015. It lists the mostly unsuccessful attempts of the author’s coaches to help him develop a workable forehand. It also includes Tennis Teasers (‘because they were the parts of my lectures the students liked most’). The story unfolds as the author recalls boyhood experiences: “My first coach was Tad the Geography master, a powerful bantamweight of a man, blessed with a natural tennis game, and in the classroom an unerring aim with a piece of chalk to gain the attention of an errant pupil. He did nothing to set me up with an educated forehand. But I do remember one piece of his advice. Better to hit the ball out past the baseline he insisted than into the net. I cannot say I have fully mastered the principles required for this tricky procedure”. He watched his first films about the glamourous and exciting lives of tennis professionals: Hitchcock’s classic ‘Strangers on a Train’ and the lesser known ‘Pat and Mike’ starring Gussie Moran and Katherine Hepburn, noting the impact that Katherine Hepburn’s shorts and Moran’s frilly knickers were eventually to have on tennis fashion. At the start of the 1960s, he recalls, the genteel ineptitude of tennis officialdom was still accepted. One match at Wimbledon ended in chaos when a line official nodded off and was unable to confirm that the match was over on a match point. Then came professionalization, and the modern era. The Australian Lew Hoad became to tennis what Stirling Moss was to racing, Bobby Charlton to football, and Arnold Palmer to Golf. By the 1970s the great tennis tournaments were available to mass audiences. There were epic contests between two dominant figures of the era, Bjorn Borg and John McEnroe. A similar series of breath-taking battles were to take place in the 1990s by battles between Pete Sampras and Andre Agassi. As the 21st century approached, the young Roger Federer began to rewrite the record books. He was later to face intense competition from Novak Djokovic, and from the king of clay Rafa Nadal. An era of America supremacy led by the iconic figures of Navratilova, King, McEnroe, Sampras and Agassi was coming to an end. Another golden age was emerging in which ‘the American (Bryan) brothers and (Williams) sisters were supreme and yet were not receiving the wider recognition they deserved’. The author began recording his notes on every match played by Andy Murray, having watched him first as a junior playing on an outside court in a regional tournament. He discovers that changes in the game have not all been to his liking. He learns of the impact of branding as he miserably fails to trade up his 1970s racquet for a modern one. His forehand continues to frustrate the best efforts of various coaches, even one who had helped players such as Martina Navratilova. Subsequent tales bring us to the highs and lows of today’s superstars, and the pratfalls of TV pundits. The author remains optimistic. Drawing inspiration from the great orator Martin Luther King, he concludes that however modest the achievement, he still has a dream that one day he will play the perfect forehand. Note the price is quoted currently at $3.99 or £1.99. It is a Kindle product, but you can download a free App via Amazon if you don’t have a Kindle. This entry was posted on Friday, August 14th, 2015 at 11:33 am and is filed under Uncategorized. You can follow any responses to this entry through the RSS 2.0 feed. You can leave a response, or trackback from your own site.